UPDATE: See 5 Best LED Headlight Bulbs 2017 rankings. When new technology enters the replacement headlight bulb scene, I get excited. LED technology is not ultra new, but only recently have LED replacement headlights become readily available and for almost any vehicle model. Some don’t come with highs and low beams in one. Some don’t work great with projector headlights. Since this is a fairly new product category, there are few high quality manufacturers. As you can tell, I’m a fan. Some would argue that LED technology is superior to even HID replacement headlights. Many high-end auto manufacturers are transitioning from HID to LEDs in their new vehicles; and for good reason. So that you can experience this new technology without spending $70K on a new car, I’ve very meticulously constructed a list of the 7 best LED headlight bulbs that you can affordably purchase today, and install this weekend. OPT7 does it right here. 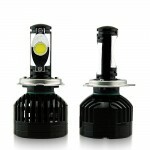 These powerful replacement LED headlight bulbs are a quality product that performs very well. If you’re wondering what that large red cluster is on the back of the headlight, it’s a heatsink with a built in fan. Since LED can create heat (heat is the enemy is most things automotive) OPT7 resolved that with a very elegant solution that gets the job done. They call it RedLine driver and TurboCool fan. With this heat control, OPT7 says you can expect 50,000 hours of continuous light. Can be installed in about 20 mins. Super easy. No cutting wires, or installing ballasts. Remove your old bulbs, and slide these in. Done. These fit in your stock housing. No modifications required. Clean. Simple. Durable. Bright. #1 on this list, and the best led headlight bulbs money can by (for now). 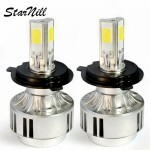 The Starnill 72W LED replacement headlight bulb set is a well built product. They too have large heatsinks, however they don’t have built in fans. However, the engineering is sound, and you won’t be disappointed installing these in your vehicle. Easy plug and play installation. No cutting wires. Just pull the stock headlight bulbs, and install these LEDs. 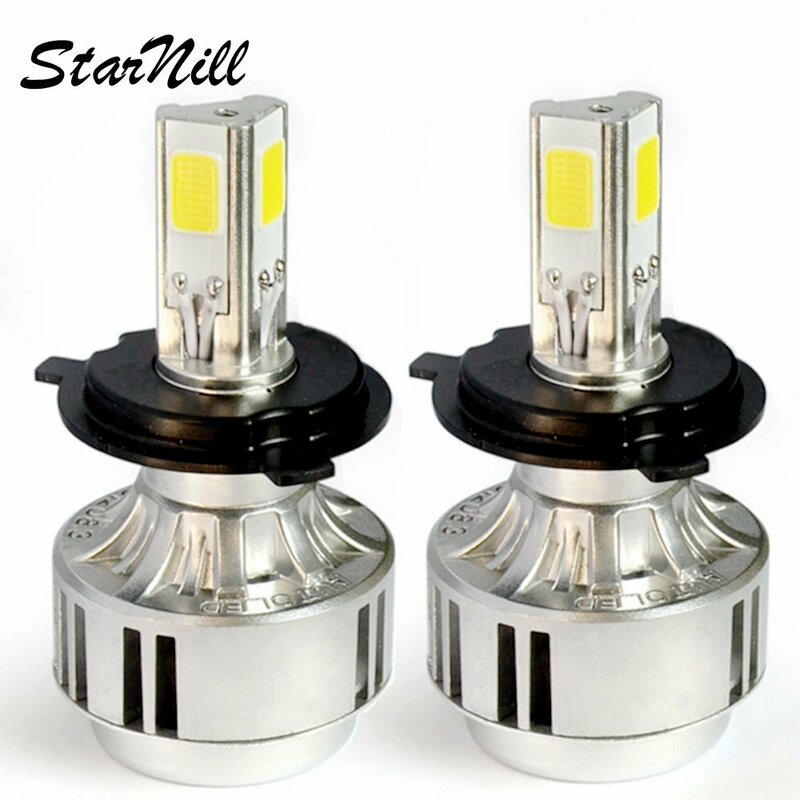 Because the lumens are 3300 vs 3500, and service live lags behind the OPT7 led bulbs, the Starnill LED headlight bulbs take second place on our list of 7 best led headlights. 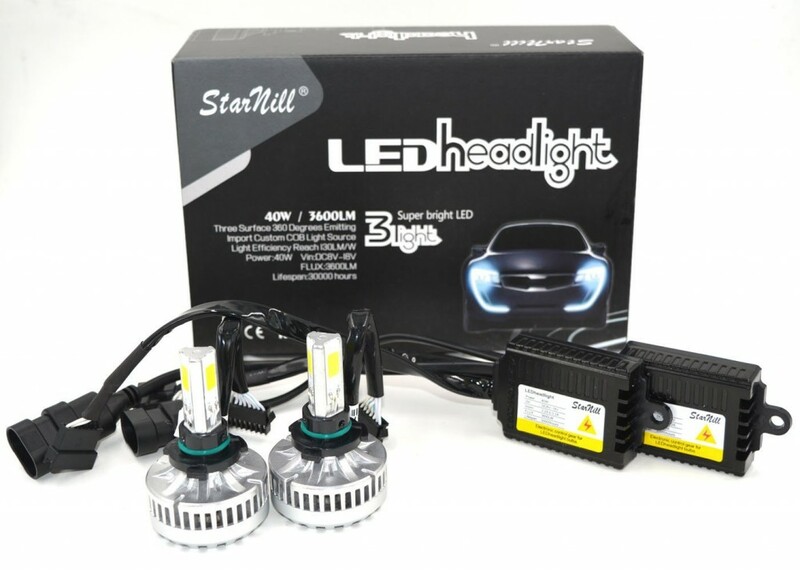 This set of Starnill LED head light bulbs come in at number 3 for their slightly more power bulb. At 80 watts (40 watts per bulb), these are the most powerful set of bulbs in our top 3, however, more power can translate to decreased reliability. These also come with ballasts, which for me is not ideal. I prefer those that come with no extra hardware, however, sometimes you have to sacrifice a little for higher performance. 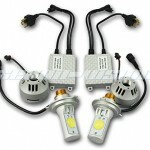 Overall, a great set of LED replacement headlight bulbs. 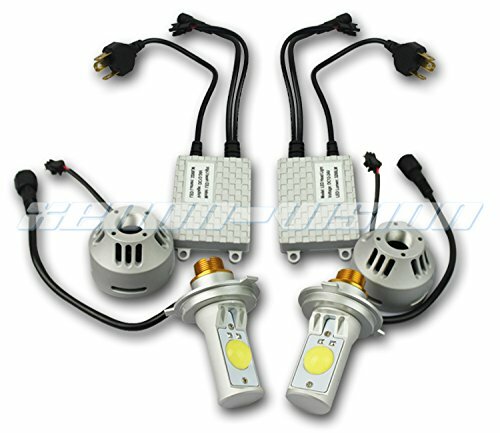 These can replace both HID and halogens. They are very bright, have a good long service life, but tend to have some slight reliability issues. For that reason, they come in at number three on this list. 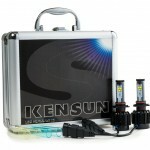 Kensun New Technology is one of the best in the business and they’ve been around for long time. 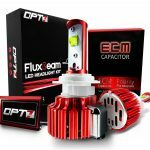 Typically they’re known for their HID conversion kits, but recently they’ve expanded their product offering with LEDs. This high-quality headlight is one of the best LED headlights. And just like the other top headlights in the market, this can be easily installed on your vehicle or car with no cutting or splicing wires. They’re also water-proof, shock-proof, and made with high quality LED bulbs. These have an advertised lifespan of 30,000 hours. The water-proof IP68 headlight is super bright and has a 500m range. 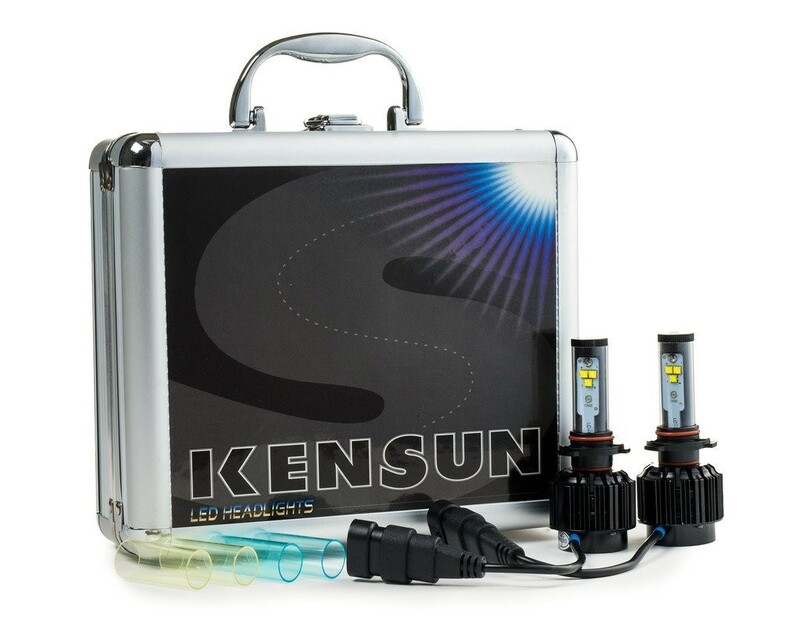 Also dubbed as the new wave in automotive technology, this Kensun product is very solid and stable. Overall great LED headlights. The color filters are a unique offering that you won’t find anywhere else. 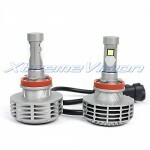 Xenon-Vision produces high quality LED headlight bulbs and HID conversion kits. 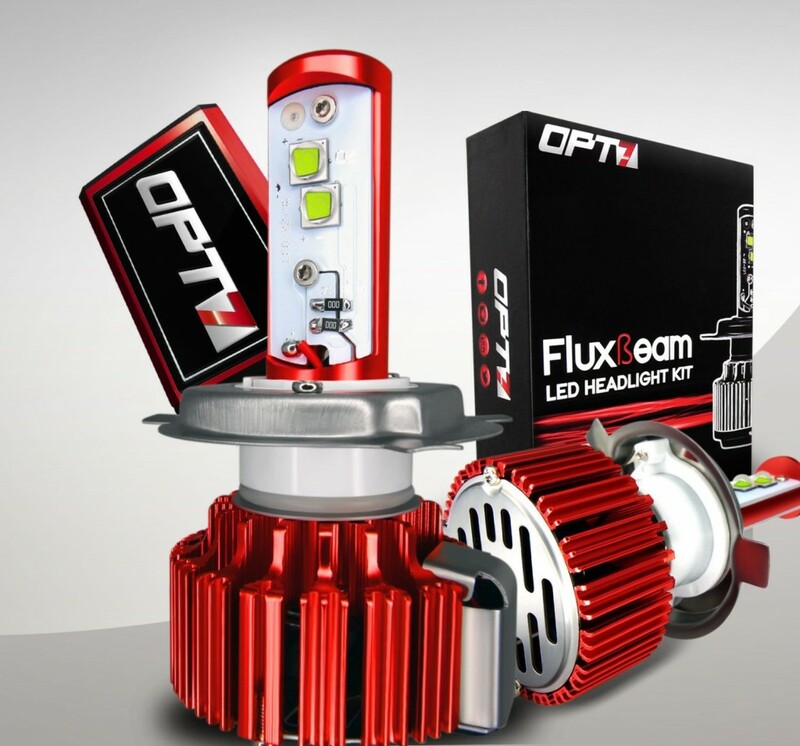 Some of the products they offer to consumers are Automotive LED bulbs, LED Light Bars, Interior LED Lighting, HID accessories, HID ballast, HID conversion kits, and LED Work lights. 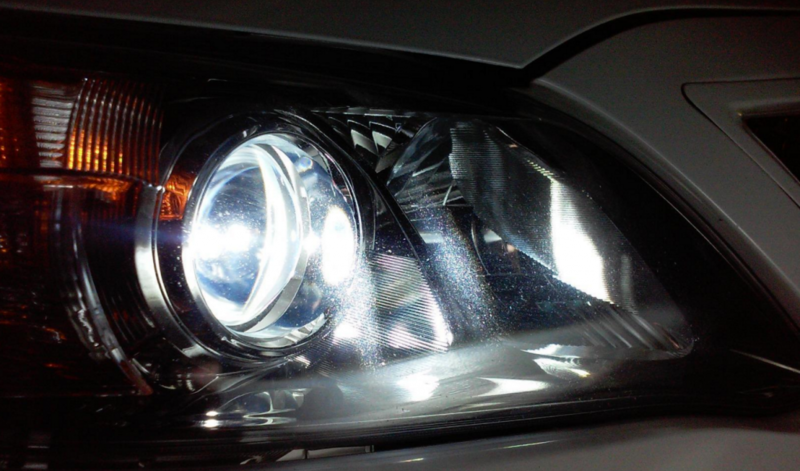 So Xenon-Vision knows the aftermarket headlight bulb marketplace, and they are a strong contender in it. At first glance, you can see that their bulbs are a little different than others. They use an “LED Bead” that provides a 115 degree viewing angle, and with one of these on each side of the replacement LED bulb, this becomes an effective piece of equipment. These also come complete with a built in micro fan and strategic use of copper for effective heat dissipation. There have been some reported quality issues, and they tend not to work great with projector headlights, so for these reasons, they’re our number 5 choice on our list of best led headlight bulbs. This particular product comes with two XtremeVision 6000L< Cree XHP50 LED Bulbs, an installation manual, and four 3000K, 4300K, 8000K, 1000K films. Installation for XtremeVision is also easy and doesn’t require any additional wiring. 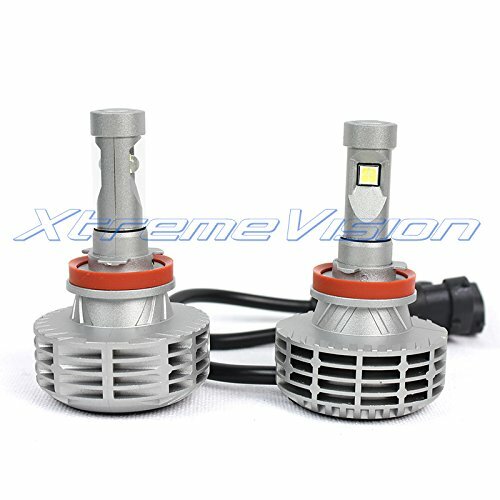 Also ISO 9001 certified, XtremeVision X2 bulbs are 100% waterproof and shockproof. 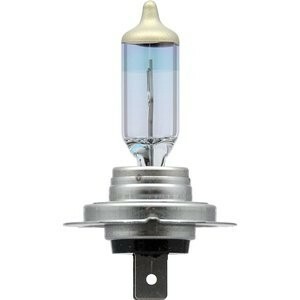 They’re equivalent to 35W HID and 3 times brighter than halogen bulbs. There is no ballast required for installation. The lifespan of this headlight is also a reasonable 30,000 hours. They claim 3000 LMS, and only a 2 year warranty. Good not great. 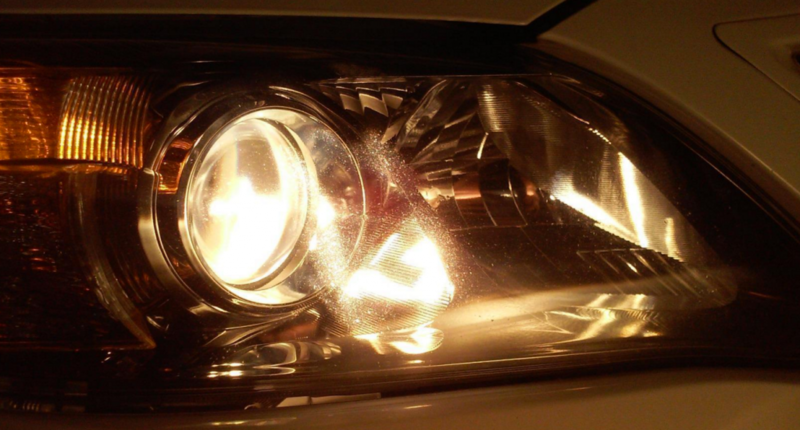 For these reasons, they landed at number 6 on our list of best led headlight bulbs. On paper they have all the makings of a great LED headlight bulb. BUT, they have quality issues. When they work, which is most of the time, they’re excellent. But who wants headlights that work most of the time. They need to work all of the time. For this reason, they landed last on our list of best led headlight bulbs. If your vehicle is equipped with a bulb that has the high beams and low beams in one, make sure that you buy an LED headlight bulb set can accommodate that. Otherwise, you’ll be giving up your high beams. Also, be sure to thoroughly read reviews before buying. Some bulbs have all the right specs, but quality lacks. When it comes to LED headlights, you’re better off spending a little more and getting a better quality product, that going cheap.